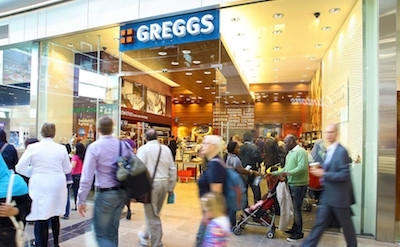 Greggs has selected JDA Software Group to implement workforce management (WFM) systems in order to automate and optimise labour deployment across its 1,635 stores. The JDA Workforce Management deployment will help Greggs drive improved customer service at a reduced cost and enable consistent delivery across its entire estate. The WFM investment is part of the retailer's investment focus this year on best-in-class systems and processes to improve operational efficiencies and customer service, where it identified the need for a WFM system that could be delivered across its store estate. Greggs anticipates the deployment will not only help make better use of its entire workforce while gaining greater visibility into the tasks employees are performing, but ensure that it has the right people in the right place at the right time, performing the right tasks to provide excellent customer service throughout the entire day. This will be accomplished using automated scheduling, time and attendance and improved clocking records to ensure employees continue to be paid correctly. Neil Parrish, Greggs workload and efficiency manager, confirmed that the implementation is part of a wider investment programme to improve operational effectiveness. "Despite exercising good cost control over many years using internally developed systems, labour deployment at shop level is a largely manual process and, as such, we miss opportunities to align colleagues with customer demand, and therefore don't always offer a consistent level of high quality customer service," he said. JDA partnered with several of its partners to conduct a 13-shop pilot programme over two payroll cycles to help Greggs assess and become familiar with the new systems. "During the pilot we tracked an extensive number of metrics and were able to demonstrate significant productivity and customer service improvements," said Parrish. "Shop managers' scheduling of time and attendance processes was significantly improved, and the central support teams teams gained much better visibility of how hours are being consumed in the pilot shops. Best of all though was the reaction of the shop managers and team members who loved the system." Parrish added that the company is aiming for rapid returns. "As we roll out JDA Workforce Management in 2014, we expect to start seeing the benefits of a better deployed workforce, resulting in improved customer service, as well as improved visibility, control and management of our total labour costs," he said. "Through systematic and accurate labour requirements, along with automated staff scheduling, we look forward to better aligning our shop team members with customer demand, enabling us to provide a more consistent level of customer service."